We are Japan Wonder Travel which is travel agency. 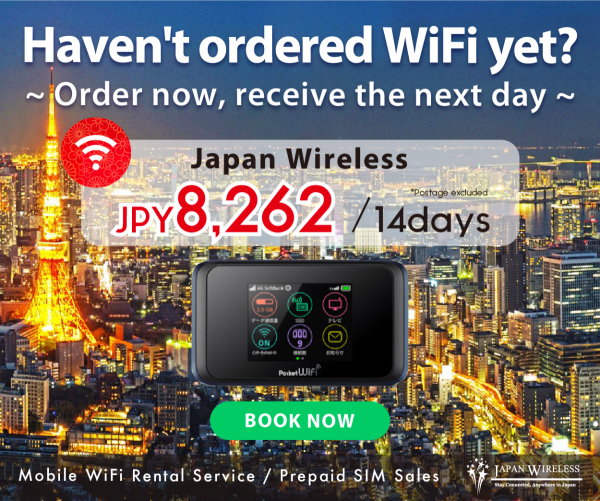 Japan Wonder Travel will make your stay in Japan more valuable one. Do you plan to go to Naoshima island? When you go there, you probably go through Okayama prefecture since Uno port in Okayama is the place you can take ferry which goes to Naoshima island. If you go to Naoshima, no way to miss Okayama!! Okayama is also close to Kansai area such as Osaka, Kyoto Kobe. 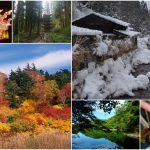 You could visit to Okayama before / after these places. In addition, it is one of the entrance for Shikoku where lots of nature and local atmosphere are remained. We will let you know recommended places to visit in Okayama. 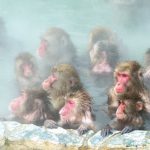 So ” Things to do in Okayama”! are below. 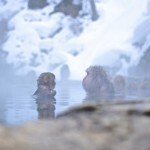 You will be surprised that there are lot of great places in Okayama. I hope this articles makes you go to Okayama!! Washuzan mountain is faced to Seto inland sea and close to Great Seto Bridge. 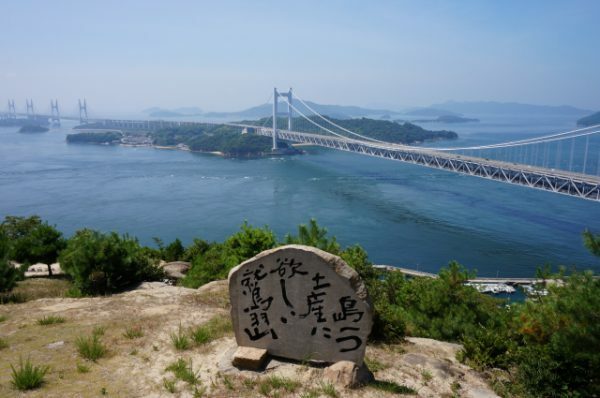 So, you could see great view of the Seto inland sea with lots of islands and Great Seto Bridge from the mountain. 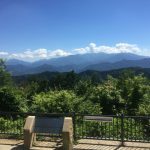 It is the one of the famous places in Setoniakai National Park which is the first national park in Japan. You could drive up to the mountain and walk around the area. While walking, you could feel the greenery and wind from the sea, sometimes you could find cats around the summit. If it’s sunny, you can see Shikoku island which is one of the main land in Japan over the sea. 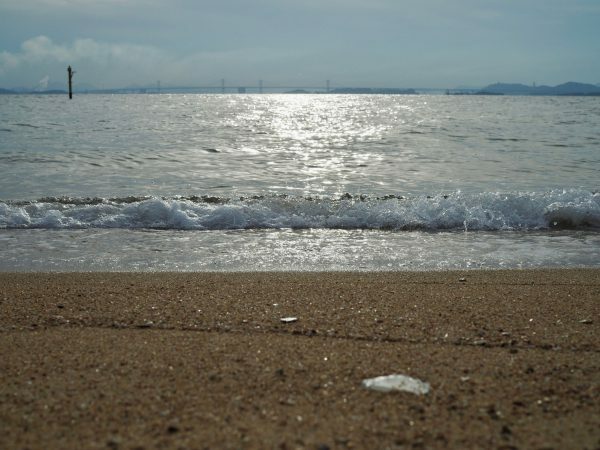 Shibukawa beach is located at Tamano city where Uno port is located. So if you need to kill the time around Uno, you can go there by bus. There are usually not many people there(sometimes the local events of school are held in though), you could listen to silence, sounds of waves, winds while you walk along the beach. From the beach, you can see amazing contrast of blue sea and sprawling islands and bridge!! It is one of the best place to refresh yourself. You can also find Shibukawa Marine Aquariums just behind the beach. It is really small Aquarium but you could feel how local no touristic museum is. It is one of the best touristic spots in Okayama. 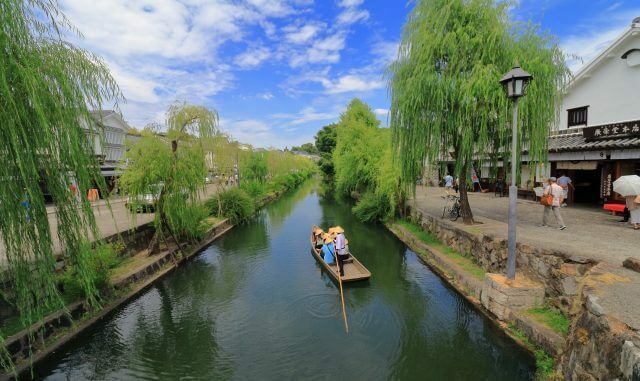 In the history, Kurashiki Bikan area flourished as a merchandised town. The town remains quaint atmosphere, even buildings, and you feel old Japanese town here. There are lots of shops/places to eat, see and experience. Some museums and some historical Japanese traditional buildings with garden are must see places in Kurashiki Bikan area. Additionally you could experience making Japanese sweets called “Wagashi”. You can find goods which originally from Kurashiki, such as “Kurashiki Denim”. If you have time, recommend to ride “Yakata ship”. 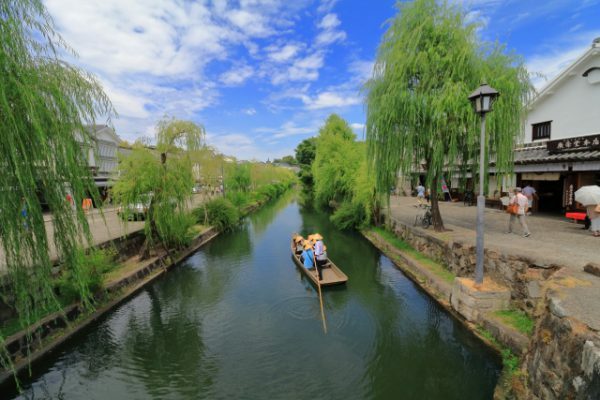 The ship floats on the river which is floating among the Kurashiki Bikan area. There is a place you could eat fruits! Okayama is the one of the most famous fruit prefecture in Japan. So you must try it! !It has lots of great aspects such as river, which is flowing through the town. 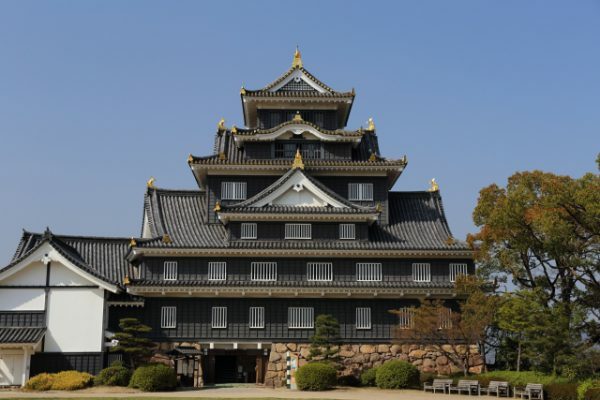 Okayama Castle is known as Crow castle since its wall is black. It has the relation with Toyotomi who used to be the top during the warring states period. It was originally built in 1597, but it was destroyed due to World War Ⅱ. The castle reconstruct in 1966. It is six story castle and each story has different contents. You could see how the castle developed and what is used to be used in the history. Also some episodes about Okayama castle. You could see great view of Okayama city from the sixth floor. Since it was rebuilt about 50 years ago, so it looks clean and beautiful black castle. Korakuen Garden is just across the river. You should go there too. The garden is located right next to Okayama castle. 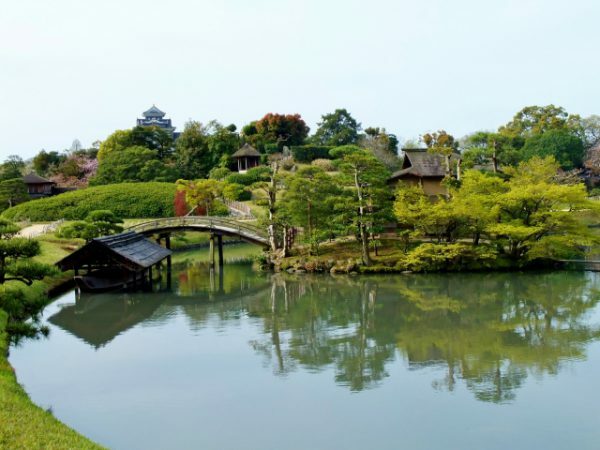 It has really beautiful Japanese garden and well known as the one of the Japanese best three beautiful garden. It is big garden so it takes 1-2 hours to explore. You could see great greenery and pond, some traditional houses. Also you could see beautiful flowers and cranes. The contrast of green garden, old house and pond are really amazing and you feel Japanese sensibility. It is really worth to visiting there if you are in Okayama! 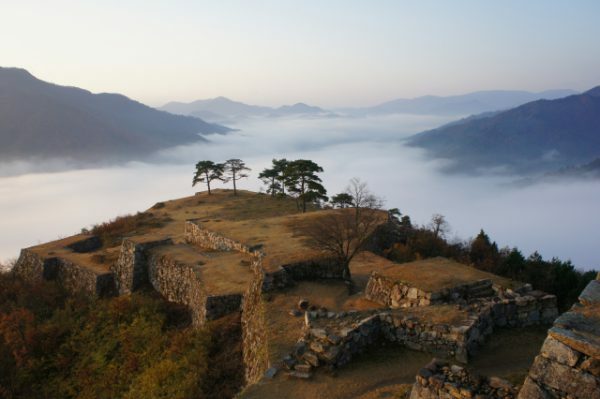 Takeda castle is located at north side of Hyogo prefecture. It takes about 3 hours by bullet train & local train. It was built at Kojozan’s summit whose altitude is at 353.7m. So it is the castle on the mountain. The thick fog sometimes occur around this area in the morning. So what you could see there is the views of the castle which covered with thick fogs. So that appearance looks like that the castle is floating on the sea of clouds. Hiruzen resort highland is located at northern part of Okayama. Here is literally resort. 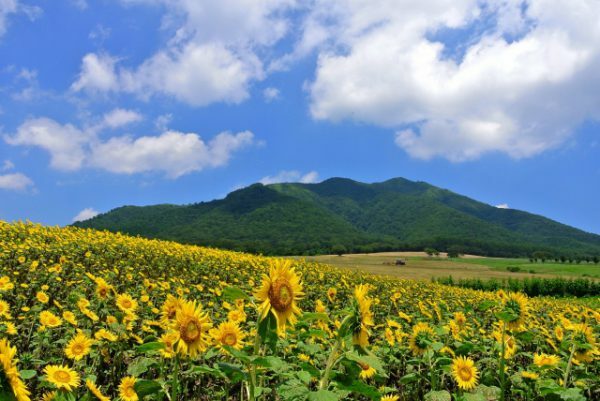 There are nature such as mountain and flowers. You could enjoy cycling there, also play in farm. In winter season, skiing is also great activity. In 2019, Setouchi Triennale 2019 will be held in Spring, Summer and Autumn. It is a festival which is focus on the Art & Architecture, connecting to people and community, to know great resources of Seto inland sea and feel beautiful nature and scenery. If you visit the cities around Seto inland sea during period of the festival, there are lots of people are gathered these areas. It will take place at mainly some islands floating on Seto island sea such as Naoshima island, Shodoshima island, Inujima island and Teshima island. You could see the atmospheres of unique islands and these are bustle with lots of people during Setouchi Triennale. Come visit Seto inland sea and enjoy the Festival! How do you think? You want to go to Okayama? When you go to Naoshima, just drop by Okayama. You definitely enjoy it. Okayama is really nice and amazing place!! Hope you have amazing time in Japan! We are Japan Wonder Travel which is travel agency. 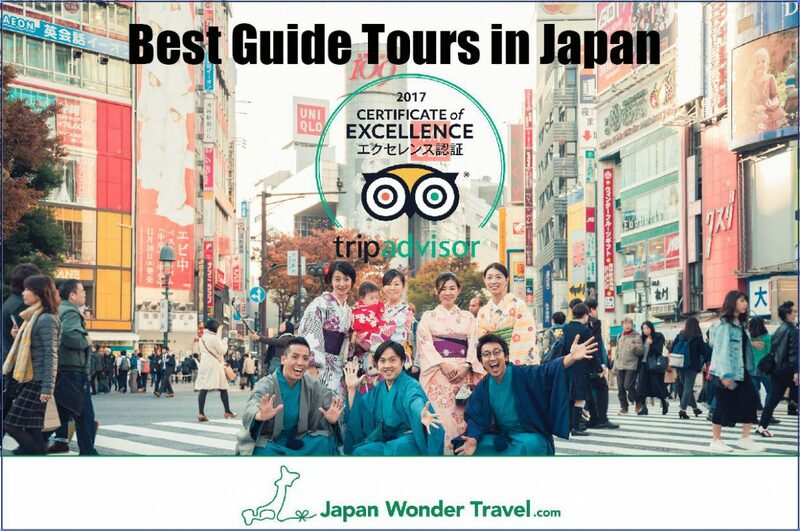 Japan Wonder Travel will make your stay in Japan more valuable one.